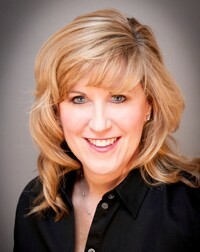 Christine Miles is the founder and chief architect of CI Squared. CI Squared is a Leadership Development and Sales Training Company. We believe people and organizations have untapped potential, and we empower organizations and people to reach their potential through our proprietary communication framework called "The Art of the Nudge." People and organizations must continuously improve and innovate business processes and key activities. Our framework is designed to work within an organization’s current system, nudging them to pivot in an agile and adaptable way to achieve superior business outcomes; that is, increased revenue, Increased profit/reduced cost, increased employee satisfaction, increased customer satisfaction, all leading to increased shareholder value. 1. What are the current trends that you perceive in the world today that impact businesses? 3. Can you explain your 5 Step framework? Help Christine - Click the LinkedIn button to Share this interview with your contacts!